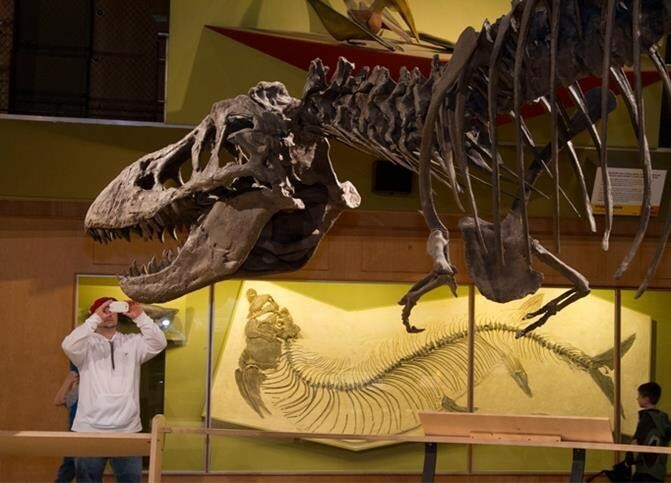 ﻿ Cleveland Museum of Natural History - Ohio. Find It Here. The Cleveland Museum of Natural History was founded in 1920 in the spirit of those who had a passion for the natural sciences. Today, the Museum is considered one of the finest institutions of its kind in North America. Its mission emphasizes scientific research, conservation and education. Permanent exhibits of special interest include the 3 million-year-old human ancestor Australopithecus afarensis, known as Lucy, and the 150 million-year-old Haplocanthosaurus delfsi, one of the most complete mounted sauropods on display anywhere in the world.The Museum also features a planetarium, observatory, discovery center, live animal shows and a wildlife center and woods garden highlighting native Ohio flora and fauna, including bobcats, river otters and birds of prey. Behind the scenes, curators work in 11 natural science disciplines. Their research helps inform the Museum's many educational programs. Outside Museum walls, the Natural Areas Program protects more than 4,000 acres of rare habitat in Northern Ohio. The Museum is located in the heart of University Circle, just five miles east of downtown Cleveland.